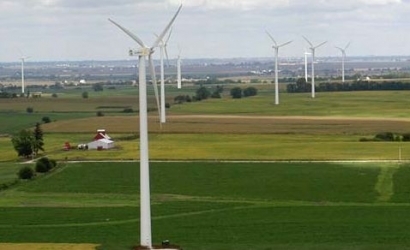 Chestnut Flats Wind, developed and built by Gamesa Energy USA, LLC, is located in Logan Township, Blair County, northwest of Altoona, Pennsylvania. The project utilizes 18 G90 and one G87 Gamesa turbines with a rated capacity of two megawatts. Delmarva Power and Light Company, a subsidiary of PHI, will purchase the energy produced under a 20-year Power Purchase Agreement. The project was acquired by EDF RE in November 2011.